Made to order in a 3-4 weeks. 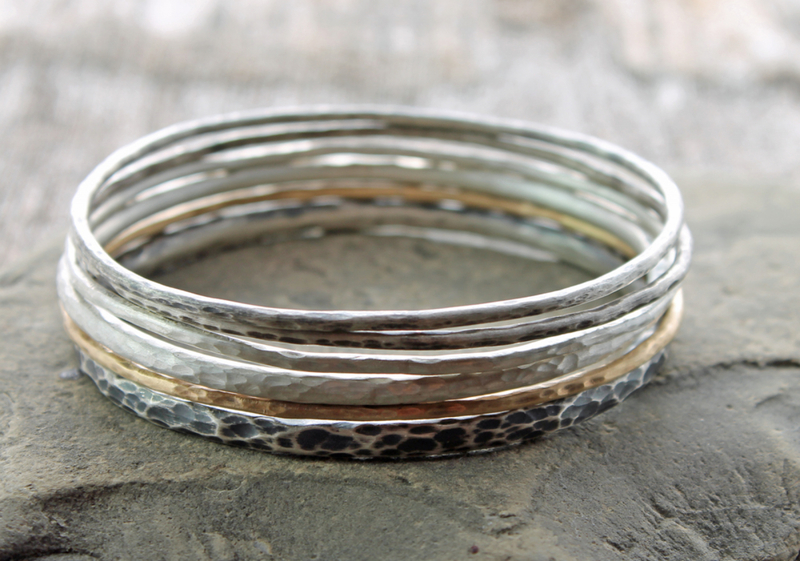 A beautiful stack of bangles in sterling silver and 14k yellow gold - oval or round shaped. 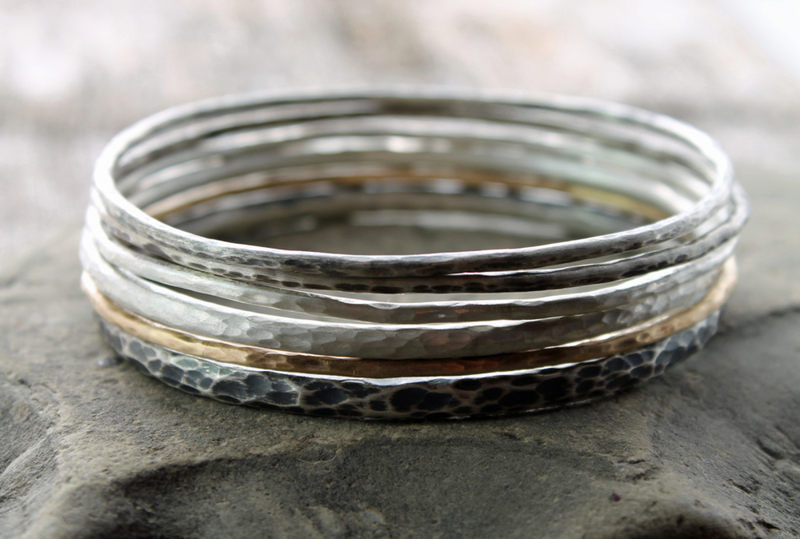 You will receive 6 beautiful artisan hammered stacking bangles similar to those depicted here: one in 14k gold (2mm diameter metal), three in sterling silver (2mm diameter metal), one in 3mm diameter sterling silver and one in 4mm diameter sterling silver, all lovingly forged in the heart of the Spiral River. 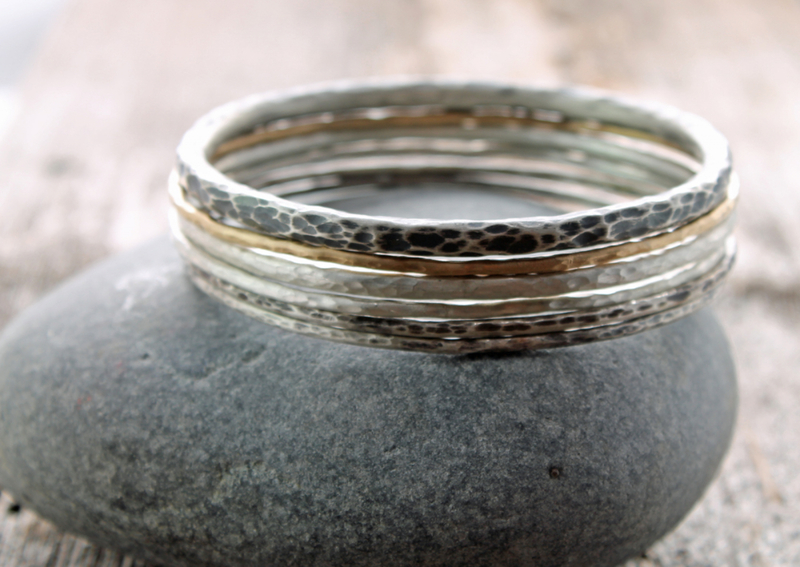 They will have a mix of brushed and oxidized finishes. Please note that the oxidized finish will wear off the high ridges as you wear it over time and age like your favorite pair of jeans. 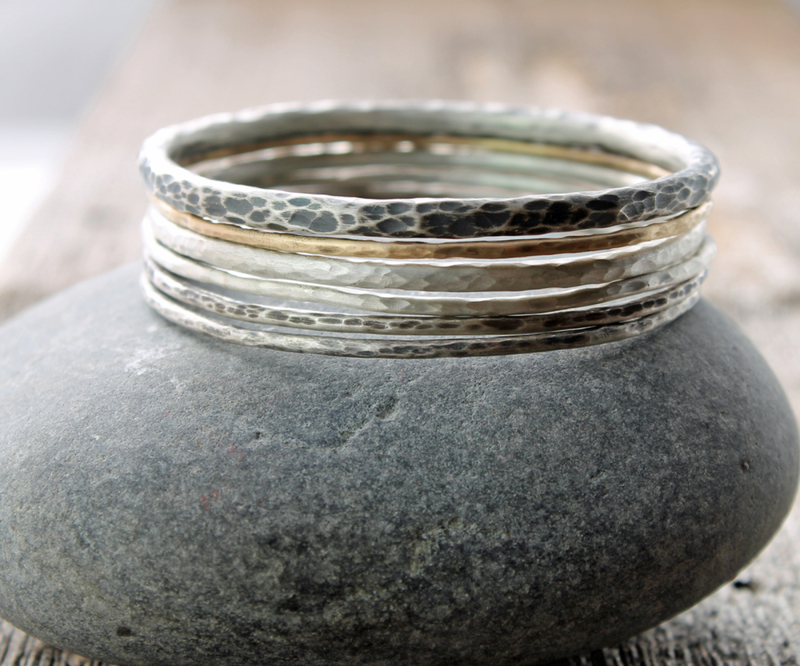 Silver is closely linked to the moon and is a metal of clear light, of the psychic mind, and of loving and healing, of wisdom, self control and reflection. It is said to have calming and cleansing properties while amplifying the energy of any gemstone it comes in contact with. It also symbolizes wealth and prosperity. In the esoteric tradition of the 7 Rays, silver is the metal of the 7th Ray (ceremony). These will be sent by FedEx. If shipping costs less than you pay here, I'll refund you the difference. Please know you may have to pay duties and taxes upon receipt of your item - these are not collected by me. Please be sure to read my shipping polices before you make a purchase.